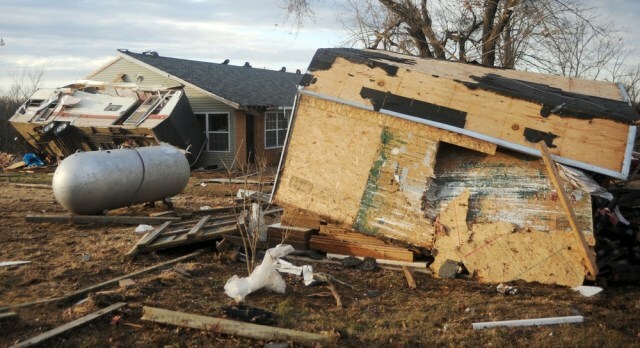 A recreational vehicle leans against a house and a toppled shed sits in the foreground near Rolla, Mo., on Friday. A fourth victim of the twister there died on Saturday. Three others died on impact.